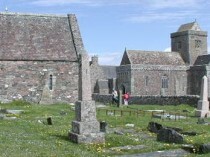 Iona Abbey and its structure have been considerably altered over the centuries. 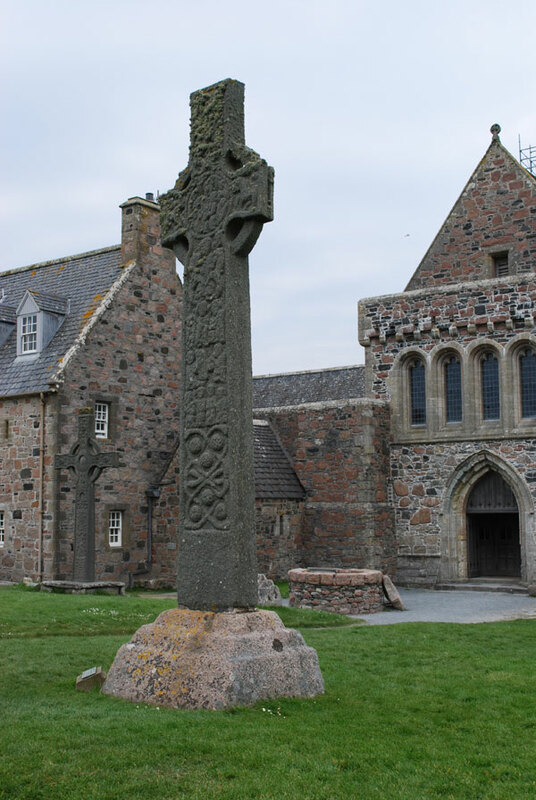 St Columba and his followers built a small monastery from wood, wattle and daub. 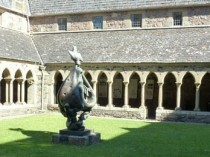 Later, the timber was replaced with stone and in around 1200, the Columban Monastery was transformed into a Benedictine Abbey. 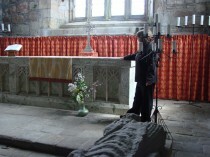 Numerous additions were made to the building from then until the mid 16th Century. The architecture of the church was determined by the demands of its monastic community, local congregation and pilgrims, so its shape evolved to meet their needs. 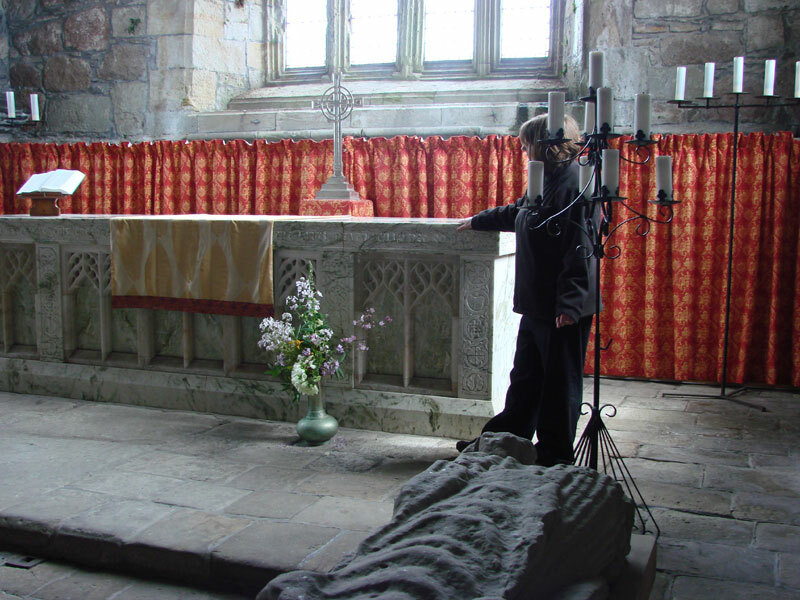 Despite surviving many attacks from Vikings several centuries before, the Abbey was unable to escape the Reformation in 1560 and was left derelict. 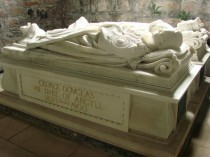 It remained so until, in 1899, the Duke of Argyll transferred ownership of the buildings to the Iona Cathedral Trust (linked to the Church of Scotland) but the gift of ownership to the public was not accompanied by any endowment and funds had to be raised by the Trust. 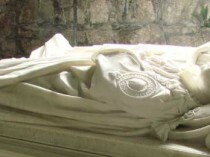 The Boer War had made such a heavy demand on the public purse that the first appeal for the restoration fund was not made until 1901. Work began the following year, reroofing and reglazing, for the sum of £2,750. 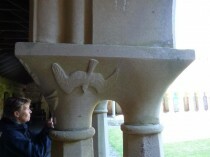 Rebuilding continued as and when funds allowed, individual donors were often most generous and some have windows in the Abbey dedicated to them. 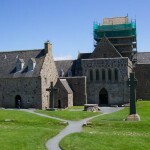 Restoration of the Abbey buildings began in 1938 when Rev George F MacLeod established the Iona Community. 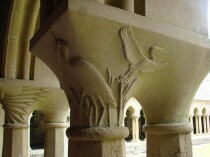 The scheme was designed to unite craftsmen and trainee ministers in the task of renovating the historic site. Experiencing the physical renewal of the Abbey was intended to prepare the young ministers to achieve spiritual renewal when they returned to their inner city parishes. 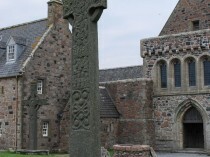 The Abbey restoration was completed in 1965, from which time The Iona Community have run it as a residential centre and continued daily worship in the Abbey Church. 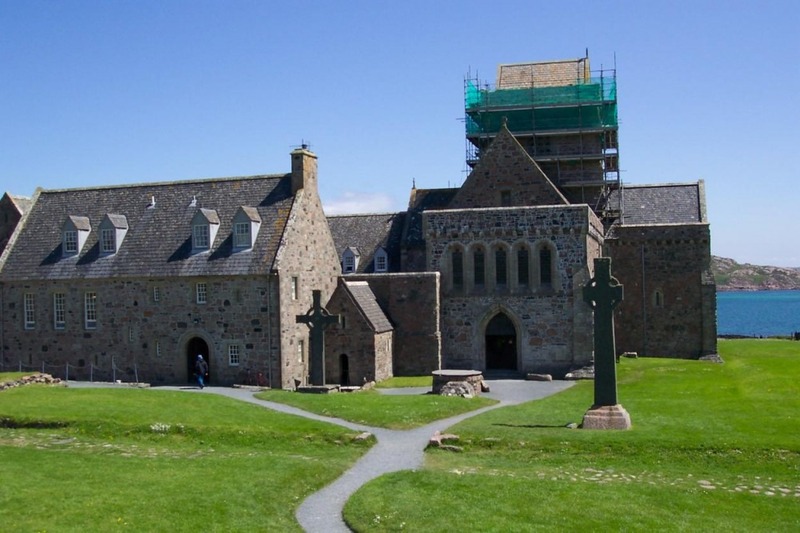 In recent years, the Iona Cathedral Trust found the financial burden of maintenance of the Abbey increasingly difficult and passed this responsibility to Historic Scotland who now manage the Abbey and maintain it's fabric.